Odin’s Beard! 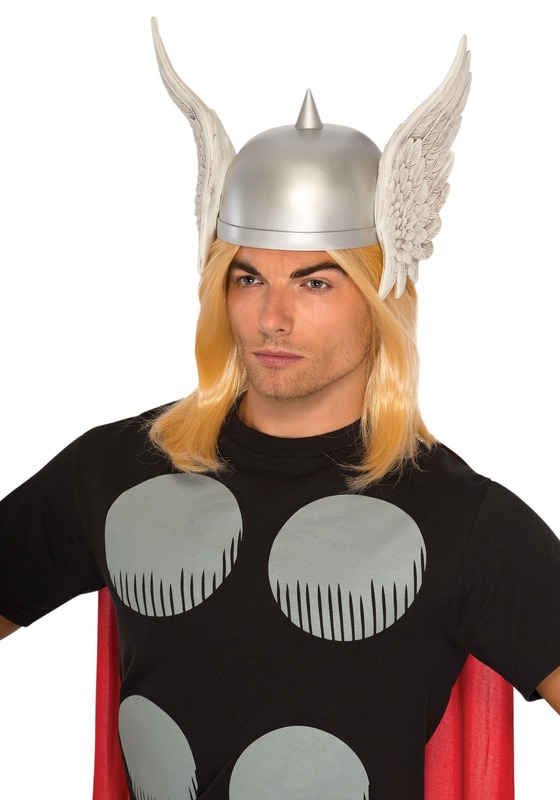 In this Adult Thor Helmet you’ll be lookin’ mighty… well, mighty. You’ll be ready to defend Midgard, put in your appearance with the Avengers and still have time to party with the Warriors Three. In the Marvel comics, the bearer of the title “Thor” isn’t just Thor Odinson, the towheaded hunk of a thunder god. Anyone worthy in the eyes of Odin the Allfather can wield Thor’s hammer, Mjolnir, and inherit his powers. Among the characters to have done this are Captain America, Nick Fury, Superman and Wonder Woman in (canonical) crossovers with DC Comics, and the Vision in Avengers: Age of Ultron. While these heroes just wielded the hammer and added its powers to their own, some characters who take up Mjolnir, like Thor’s girlfriend, Jane Foster, and Beta Ray Bill, an alien Thor initially encountered as an adversary who looks like a humanoid skeletal horse (comics, bro! ), get turned into their own version of Thor replete with a winged helmet and red cape. So this helmet is also appropriate for your female or skeletal horse alien Thor costumes!